One of my favorite fall foods is squash. I seriously can’t get enough of it and growing up in New England, I could easily, just pick it. And what is cooler to a child, than picking one’s own squash. So, by the time October comes around I am so ready to start with my squash recipes. So, today is a basic one. Tomorrow, we will be using more butternut squash but in a new way. I hope you try it and enjoy it because it tastes really good! Cut your butternut squash in half and then scoop the seeds out of it. 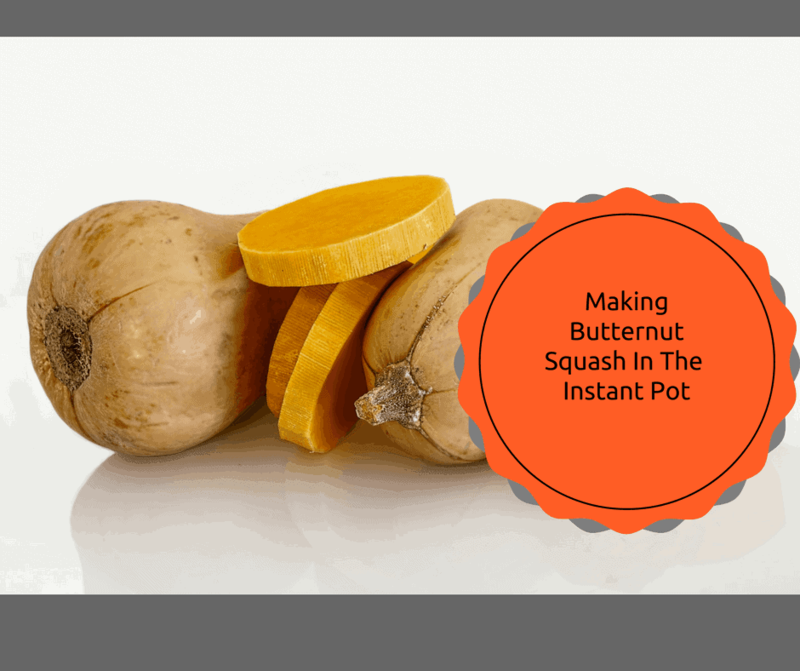 Place the squash and one cup of water into the Instant Pot. Set the manual high pressure for 12 minutes, with the vent seal. Let it cool and then either cut it up and serve or mash, and serve with butter. « Air Fryer-The Easiest Recipe & The Easy Ingredient List—There is Only One!